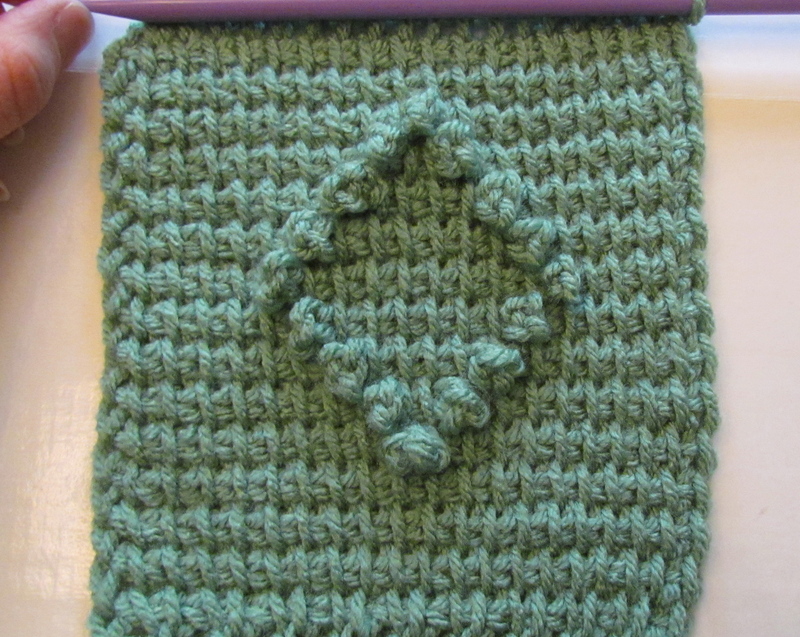 The tunisian berry stitch is made very similar to the regular crocheted berry stitch. You use a regular TSS (section 1) and add some texture. It looks like a lot of rows, but once you get the pattern going it doesn’t take long. 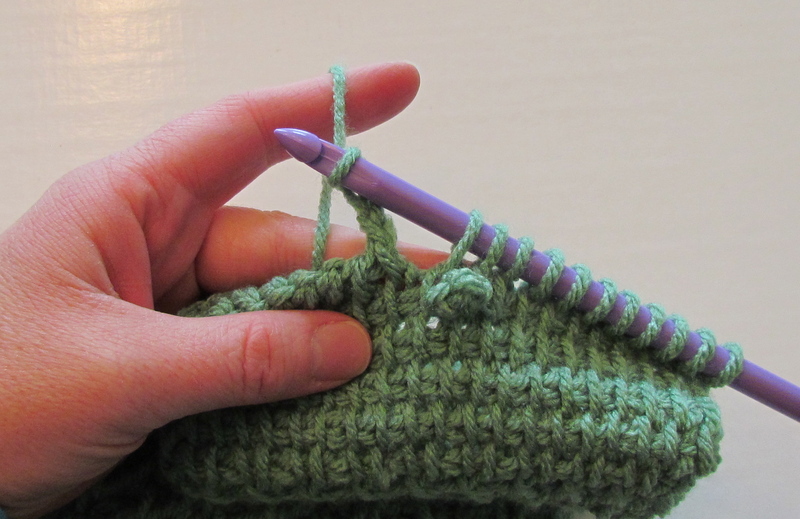 Row 85 – 87: skip 1st vertical bar, * TSS in next vertical bar, repeat from * across, insert hook through both loops of last stitch. 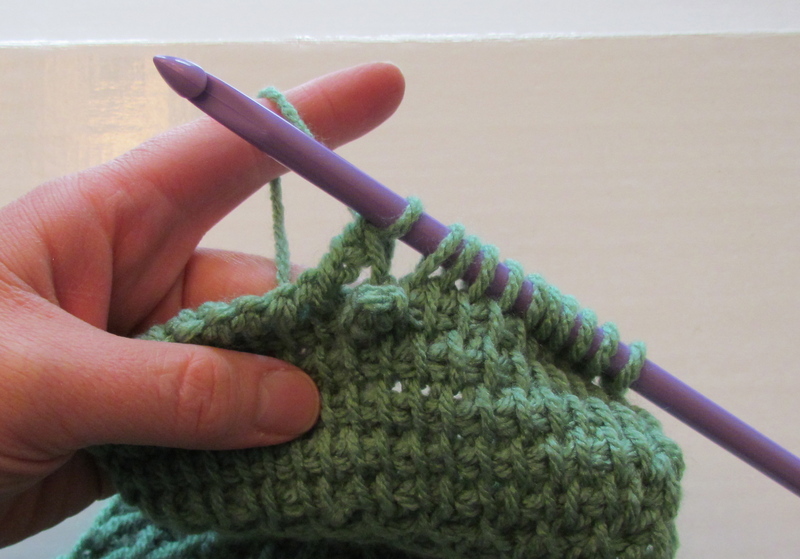 Row 88: skip 1st vertical bar, * TSS in next vertical bar, repeat from * across, insert hook through both loops of last stitch. To complete row: yo, pull through 1st loop on hook, (yo, pull through 2 loops) 9 times, ch3, (yo, pull through 2 loops) 10 times. Row 89: skip 1st vertical bar, * TSS in next vertical bar, repeat from * across, inserting hook through both loops of last stitch. Fig.3 – end of completed row. 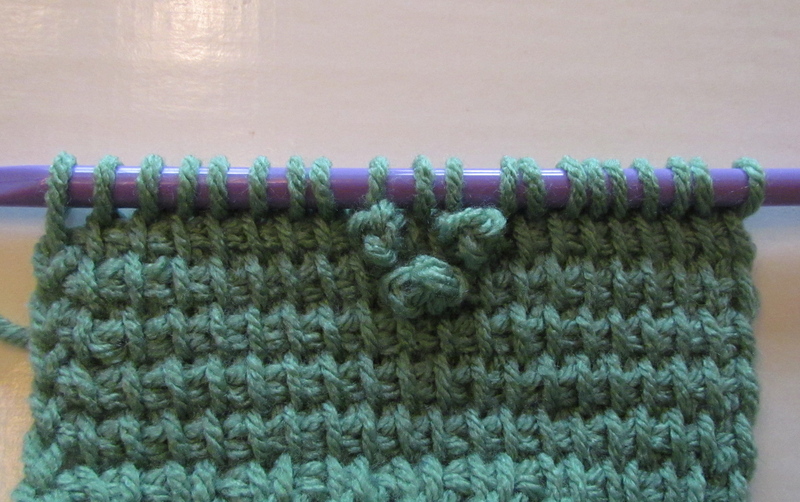 Fig.4 – beginning of next TSS row, with berry stitches to the front. Row 90: skip 1st vertical bar, * TSS in next vertical bar, repeat from * across, inserting hook through both loops of last stitch. To complete row: yo, pull through 1st loop on hook, (yo, pull through 2 loops) 7 times, ch3, (yo, pull through 2 loops) 4 times, ch3, (yo, pull through 2 lps on hook) 8 times. Row 91: skip 1st vertical bar, * TSS in next vertical bar, repeat from * across, inserting hook through both loops of last stitch. To complete row: yo, pull through 1st loop on hook, (yo, pull through 2 loops) 6 times, ch3, (yo, pull through 2 loops) 6 times, ch3, (yo, pull through 2 lps on hook) 7 times. Row 92: skip 1st vertical bar, * TSS in next vertical bar, repeat from * across, inserting hook through both loops of last stitch. To complete row: yo, pull through 1st loop on hook, (yo, pull through 2 loops) 5 times, ch3, (yo, pull through 2 loops) 8 times, ch3, (yo, pull through 2 lps on hook) 6 times. Row 93: Repeat Row 91. Row 94: Repeat Row 90. Row 95: Repeat Row 89. Row 96: Repeat Row 88. 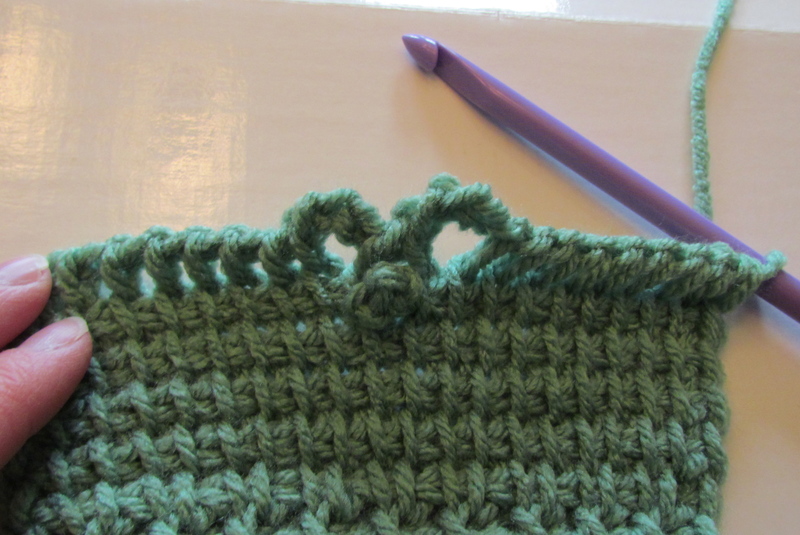 Row 97 – 99: skip 1st vertical bar, * TSS in next vertical bar, repeat from * across, inserting hook through both loops of last stitch.